BRISTOL - The season for the Bristol Blues may have come to an end short of a championship, but there was still a sense of pride as the team walked off Muzzy Field for the final time of the summer Wednesday night. The Blues finished third in the Future’s League standings and finished with 30 wins on the season despite having a young roster with little-to-no experience in college baseball. Yet for Blues manager Ronnie Palmer, he couldn’t have asked for a better group of players. The team’s fight was evident in their ability to win close games. Including the postseason, the Blues went 24-13 in games decided by three runs or less this season. Although there were ups and downs along the way early in the summer, infielder Justyn-Henry Malloy said the turning point in Bristol’s season was a team meeting in early July when the team was struggling. Palmer put the players on notice, which Malloy believes proved Palmer’s ability as a coach. But as Palmer has preached all season, a league like the Futures League isn’t really about results. His most important goal is continuing to develop young players, both as player and as men. Malloy is a perfect example of what the Futures League can give a young player. The Vanderbilt-bound player struggled to get on base early in the season. But in three playoff games, he had five hits, three walks and was hit-by-pitch twice - his playoff on-base percentage was .786. 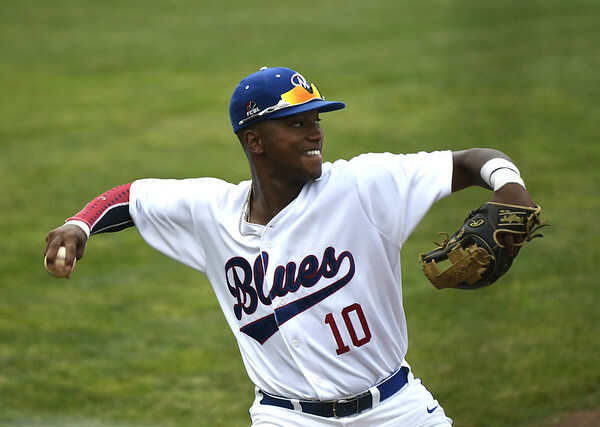 It may not have been a championship season, but there was still plenty of successes surrounding the 2018 Bristol Blues. Posted in Newington Town Crier, Bristol Blues on Thursday, 9 August 2018 19:55. Updated: Thursday, 9 August 2018 19:58.